BSChe (Chemical Engineering) – University of Arkansas, MS Management Science – University of Central Texas (now part of Texas A&M system), PhD Arizona State University in Information Systems. Petrochemicals and oil and gas industry – Phillips Petroleum, Dow Chemical, Union Carbide, Mobil Oil/Chemical Division. Operations Management, courses in Information Systems (ERP, E-Commerce, Business Intelligence/Data Analysis), and Microeconomics online. Faculty Senate; United by Faith and Racial Unity community efforts with Jerry Taylor and Doug Foster, SAP University Alliances faculty coordinator, recent Gen Ed Committee, support AIS (Association of Information Systems) students. I tutored peers in math while in college and they would say I should be a teacher. I was an intervention tutor for students in elementary school when they struggled in math and reading during their early years. I would work with them to bring them up to grade level. All of my life, people would ask me why I was not a teacher. One day, I told someone that if I was given the opportunity to teach at a Christian university, I would change career paths. Dr. Jack Griggs, who was then Dean of the College of Business called a few months later. I could not turn down an answer from God. In every student, there is a desire to learn. Many students have not tapped into this energy because of grade competition and standardized tests. I love the opportunity to reignite the desire to learn that God has placed in each of us. This is important, as why would we seek salvation without this motivation to learn about the God who created us? It compares to taking a multiple choice exam to pass the Salvation test. What do we learn about God? Definitely. Money is always a temptation in the oil and gas industry, even during market downturns. At times, I have been concerned about my children and their futures based on my choice. However, I believe I was called to be at ACU. I therefore allow God to unfold His daily purpose for our being here, both at ACU and in Abilene. I compare my walk to when Satan tempted Jesus with hunger (worry associated with need), seeking safety in peril and being offered the world and its riches. These are the same temptations each of us face – if we are willing to let God take the lead. It has been an adventure being here, and I have humbly found the answer to each of these choices: Jesus – plain and simple. My mother always wanted to be a teacher. Contrarily, none of her children wanted to become teachers. Out of her 12 children, four are engineers, two are accountants, three are scientists of some type – invariably none became teachers by profession. Not until I was called to do so in the spring of 2000. Because of financial and family reasons, both my mother and father only finished the 9th grade. However, my mother always valued the teaching profession. When she was young, her best friend was a teacher. She decided to name me after her best friend. Therefore, I often think I was somehow “spirited” into the profession because God honored my mother’s dream. Hard to say. We have been in Abilene almost 9 years. I think being here has created multiple project opportunities in community service. Abilene is a good place because the presence of God flows through so many people. Yet, for my family, being here has been the most difficult time in my life. Despite efforts by others for us to move on and move away, God has been our shepherd throughout the years; He has provided green pastures and laid a table before us time and time again. 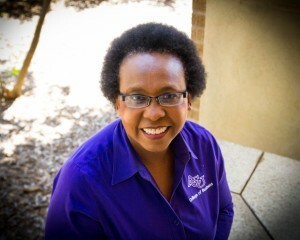 We created an ACU endowment in honor of my mother and father to fund scholarships for students; we provide two housing environments that promote human flourishing for people who may be homeless because of life’s circumstances. We also support the International Justice Mission (IJM) and a global academic community that works to integrate management, spirituality and religion as a way of doing business. My mother. She walked with God through the challenges of life, and was faithful until the end; then she went home to live in the mansion she never had while on earth – one built especially for her by Jesus. My mother loved geese. I think she is on a farm surrounded by geese and probably some generic form of duck. Dr. Charles Thatcher. He wrote the book I used at the University of Arkansas for foundations in Chemical Engineering as an undergrad. Through Dr. Thatcher, I was able to see what it looked like for someone to live and breathe what they taught. Inspirational, no doubt, and note-worthy. However, not yet sure if this is always a good thing. The power to reveal truth, create justice and show mercy all in the same breath, and ensure that everyone acted with pure and unselfish motives for the common good. 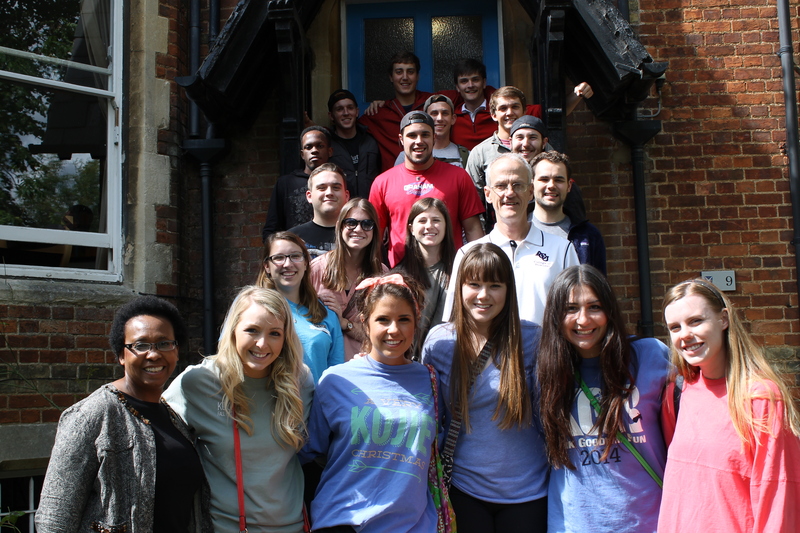 Dr. Burton and Dr. Pope teaching COBA students in Oxford. That I was raised by a practicing atheist. My father lived between agnostic beliefs and an atheistic walk – i.e., a defacto atheist. Was this all bad? Consider the following: a practicing atheist has no reason to lie or hide behind falsehood. Because of this, I was raised in a home where neither my mother nor father smoked, drank or engaged in anything traditionally regarded as wrong. My father in fact was very deliberate about what we as girls wore and how we presented ourselves as young women. He had a keen eye for falsehood and insisted that we avoid both the “vices” and “hypocrisies” of life. For me as a young person, this resulted in no real foundation and a true void that I ultimately had to choose how to fill. Despite our backgrounds, we all choose. Consider I Corinthians 3:10-15: “By the grace God has given me, I laid a foundation as a wise builder, and someone else is building on it. But each one should build with care. 11 For no one can lay any foundation other than the one already laid, which is Jesus Christ. 12 If anyone builds on this foundation using gold, silver, costly stones, wood, hay or straw, 13 their work will be shown for what it is, because the Day will bring it to light. It will be revealed with fire, and the fire will test the quality of each person’s work. 14 If what has been built survives, the builder will receive a reward. 15 If it is burned up, the builder will suffer loss but yet will be saved—even though only as one escaping through the flames. My advice to any student is to choose a solid foundation. Then, build a lifestyle that can sustain the trials of life, because the trials will surely come. When they do, don’t give up. You’ll be a better person on the other side. I believe that truth and right-living are found by searching with all your heart. Because of my family structure, I had to search for truth and learned the art of “research” and knowledge discovery early in life. Without a university experience, I would have missed experiencing the generic value of learning as a higher calling. Therefore, when I teach, I do so without political, personal or social agenda, and I work to show the natural design of God in all things. There are foundational truths that exist. Learning in any discipline should be all about coming to know truth. That is why I think teaching comes with great responsibility, and that is also why I think college is an important investment we should all make to provide this opportunity for everyone.